Don’t Fall for Free Bottle Scams! 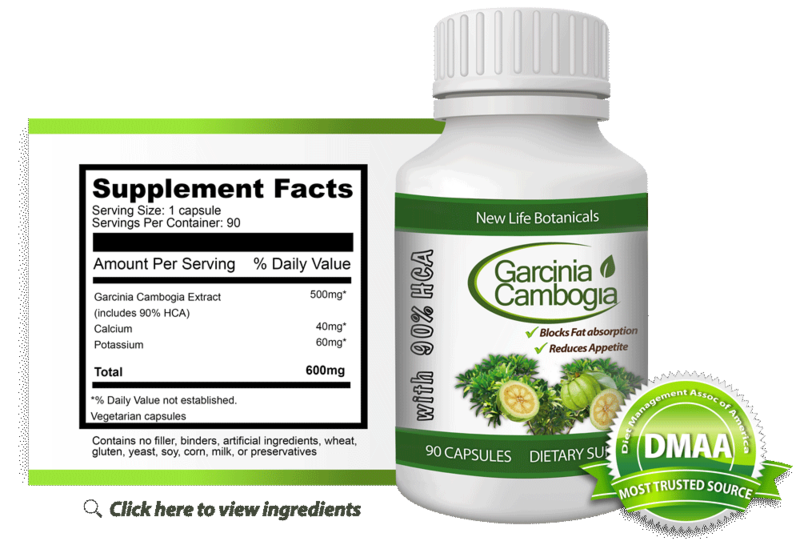 Ultimate Garcinia Cambogia is another one that uses the biggest scam tactic of them all – the free bottle offer. If you know anything about us, you know that’s our biggest pet peeve and go out of our way to try to warn consumers about it. Many sellers are guilty of using this long-used method of tricking you into expensive subscriptions that are NOT easy to get out of. They offer you a free bottle of their product. You fill out all your info and give them everything they need to subscribe you to a type of refill subscription. Before you know it, whether you wanted it or not, you get another bottle in the mail. And another. And yes, you are being charged for them. The second thing we really don’t like about Ultimate is the fact they tell you nothing about their product. That means they’re hiding something. Yes, their site is beautiful and at first glance you’d assume this is a really good product. But look again. They mention NOTHING about the actual, exact ingredients used in it. Many times, they don’t even tell you how much HCA their product has. In order for Garcinia extract to give you the results you’re looking for it HAS to have a minimum of 50% HCA. Do they tell you how much HCA it has? No. Of course not. In almost every case we’ve seen like that, it simply means they don’t include enough HCA to make it worth using. No where on their site will you find any information about how much their product actually costs. That’s never a good sign. If it was a reasonable price that you should expect to pay (up to $30) then they would have no problem letting you know that up front. But again, they are hiding information from you. Even looking around the fine print at the bottom of the page, I couldn’t find any information whatsoever about returns or refunds. Why is that? Again, that’s never a good sign. What about the terms of your free bottle? Everything about these Garcinia Cambogia screams “SCAM”. The biggest thing that tells you to run the other way is the free bottle gimmick. But beyond that, there are still SO MANY RED FLAGS that it isn’t even funny. They tell you nothing about the actual product, what the ingredients are, how much of each ingredient there is, how much HCA it has, the price, their terms and the list goes on. So my final word? NEVER buy from this company. We love it when new amazing discoveries are made in regards to weight loss. Very recently, a new discovery started getting massive attention – even from Dr. Oz himself. Sure, you can’t believe everything you hear or see on TV, but this is something you should really be paying attention to and it’s called Garcinia Cambogia. This could truly be one of the biggest breakthroughs in a long time. After doing some research of our own, we agree… Garcinia extract is some powerful stuff. It’s no wonder so many weight loss experts, and even news outlets, are starting to talk about it. But what is it that makes it so effective? How is it different from other diet supplements? First of all, it’s cheap. There’s no way you should ever pay more than about $30 for a bottle. And that’s a nice break from the $60 – $100 price-points you often see on diet pills these days. Right? No matter how cheap it is though, wouldn’t matter if it didn’t work. But it does. It works in three ways, actually. It starts blasting away the fat that you already have. But also, it starts preventing new fat from forming. It basically changes the way your body and liver work together with either using calories for creating fat stores or burning it for energy. Thirdly, it helps you feel fuller faster and curb your cravings. I mean seriously, this is some crazy stuff. It’s like the Swiss knife of dieting… it arms you in so many ways that you can’t help but lose weight. Unfortunately, that means that it gets massive attention from not only the media and people wanting to lose weight, but from scammers just after your money too.